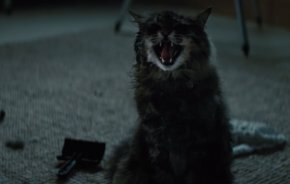 There’s a trailer for the new adaption of Stephen King’s Pet Sematary, and it’s proving somewhat divisive. However, we have one overwhelming piece of advice: if you know the book, don’t watch the trailer. Why? There is a massive plot spoiler in the trailer, and we mean fundamental. We’re not saying the filmmakers shouldn’t have done this, just that a huge surprise is gone if you trailer if. Of course you might want to indulge in the web bunfight, but hey. If you’ve no idea of the original plot then by all means watch the trailer… actually no, this is basically the most spoilerific trailer we’ve ever seen.